We offer the best hockey goals in the business. These are the most authentic styled, using the most impact resistant steel and finest construction techniques anywhere, in or out of the rink. 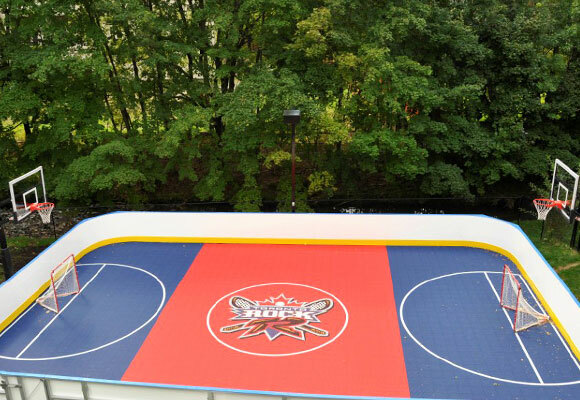 All models have high quality arena netting, a top shelf, center support, curved bases, skirting and other features you expect, demand, and have seen on the ice. Note the fit of the netting, the way the top shelf meets the crossbar and how the base curves out wider than the goal mouth.